In the wake of the economic crisis, the health of state and local pension plans has emerged as a front burner policy issue. This book tells the big and complicated story of public plans, addresses current “hot button” issues, and highlights future challenges that all plans face. View myths and realities about state and local pensions. The author would like to thank the Center for State and Local Government Excellence for supporting much of the research that made this book possible. State and local pensions are much in the news, but the current discussion largely ignores why some plans are in financial trouble while others are not. Drawing on extensive research, Munnell cogently explores the diversity of past actions, current circumstances and needs, and opportunities for reform. 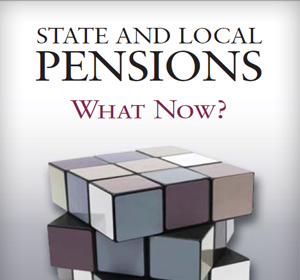 This book is the essential starting place for thinking about and reforming pensions. Munnell offers a thoughtful examination of the challenges facing state and local governments as they strive to provide retirement security for their employees. Her work represents a giant leap forward by establishing a comprehensive framework for leaders looking to tackle these critical issues. Pensions for state and local employees generate ferocious debates among both the general public and pension experts, with serious repercussions for public sector pay and government budgets. Munnell explores this controversy with clarity and fairness, providing a critical resource for citizens who wish to understand public pensions and the policymakers who must manage them. Why does this book stand out? It’s because Munnell has relied upon, and truthfully portrayed facts to produce light, not heat. Moreover, uniquely, she places blame where it belongs without rancor and provides reasonably achievable solutions. This book is the most comprehensive assessment of public pensions yet compiled. Munnell even-handedly challenges stereotypes and ideologues in describing the nuanced and consequential details of retirement benefits for employees of state and local government. Her book is indispensable for anyone with an interest in the nation’s public retirement policy.